Western European military leaders and their counterparts in Washington will convene next week to hammer out the details of the White House’s recently unveiled postwar plan for Afghanistan. NATO’s top defense ministers will come together at the alliance’s headquarters in Brussels to formalize the organization’s “basic operational concept” for Europe’s postwar presence in Afghanistan, according to a senior administration official. “The [postwar] details will be worked out in that meeting, and subsequently, there’s a NATO force generation conference in mid-June that will start to get into those operational details,” the official told reporters on Tuesday. The majority of that discussion will likely focus on how alliance members will fold in the details of President Barack Obama’s Afghan postwar strategy, which will effectively end all major U.S. operations in country by 2016. “The international community will continue to support Afghans as they build their country for years to come,” Obama said in a speech Tuesday, announcing the new Afghan postwar plan. “Our commitment to Afghanistan is rooted in the strategic partnership that we agreed to in 2012. And this plan remains consistent with discussions we’ve had with our NATO allies,” he said. “Just as our allies have been with us every step of the way in Afghanistan, we expect that our allies will be with us going forward,” Obama added. 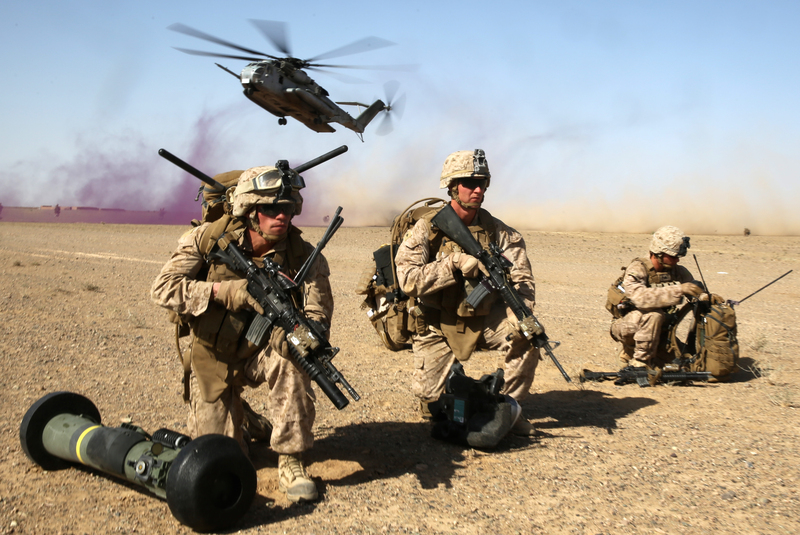 Washington will continue on course to withdraw a majority of American combat forces in Afghanistan by the end of the year, while maintaining a 9,800-man force in country through 2015. Those forces will be tasked with counterterrorism operations, as well as training and advising the Afghan National Security Forces, President Obama announced Tuesday. By 2016, according to the White House plan, U.S. forces in Afghanistan will be reduced to a limited number of forces needed to secure the U.S. Embassy in Kabul, as well as support a postwar advisory office similar to the one in place in Iraq. Deputy National Security Adviser Tony Blinken told CNN on Tuesday the new postwar plan in Afghanistan would cost American taxpayers roughly $20 billion. That plan, according to administration officials, falls in line with NATO plans to maintain a regional training and adviser presence in Afghanistan through 2016. Obama reportedly briefed U.K. Prime Minister David Cameron, German Chancellor Angela Merkel and other top Western European leaders on the administration’s new plan for postwar Afghanistan. “The president’s decision will enable what NATO had already anticipated and begun to plan for,” for a postwar Afghanistan, the senior official said. 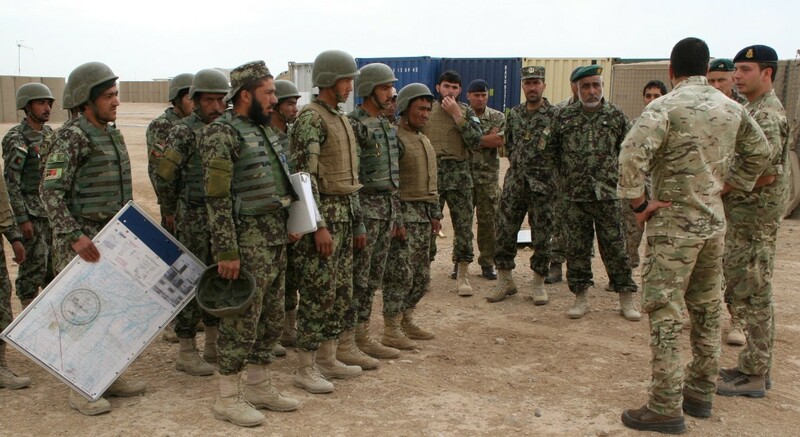 The alliance’s postwar mission will “continue to keep coalition advisers embedded down to a core level within the Afghan Army and police forces in, kind of, the four corners . . . of the country,” the official added. NATO’s postwar advise and assist mission coincides with the alliance’s strategy for Afghanistan, drafted during organization’s annual summits in Lisbon and Chicago in 2012. Earlier drafts of the NATO postwar plan had the alliance considering a postwar force of between 8,000 to 12,000 troops, tasked with training and advising ANSF units. That plan was designed to piggyback on early assessments by the Pentagon for a 10,000-man postwar force for Afghanistan. What remains unclear is what portion of that 9,800-man U.S. force will be partnered with NATO forces, in support of the alliance’s advisory operations, under the White House’s new plan. The final U.S.-NATO troop sharing deal in Afghanistan will likely be locked in during the alliance’s force generation conference in June. America officials remain adamant the 9,800 number will be sufficient to support the U.S.-led counterterrorism mission, while backing NATO-led operations, noting that talks were already ongoing inside the White House as to what that troop sharing number should be. “We [are] mindful of providing clarity for allies and partners” on how the American postwar plan for Afghanistan will jibe with those being drafted by Western European leaders, a second administration official said. That said, “we have seen positive developments over the last couple of months [in Afghanistan] that made the president comfortable with this decision,” the official added. Administration and Pentagon leaders have been adamant that any postwar plan for Afghanistan hinges on whether Kabul signs a bilateral security agreement with Washington, which would set the groundwork for a U.S. force in country after 2014. While Afghan President Hamid Karzai has refused to sign the deal, both candidates running to replace Karzai have publicly stated they will formalize the deal once elections wrap up in June. The United States has similar agreements in place with each country where American forces are stationed. The lack of such an agreement prevented Washington from having a postwar force in place in Iraq when U.S. troops withdrew from the country in December 2011. Washington’s decision to forgo a postwar presence in Iraq likely contributed to the deteriorating security situation in the country, setting the stage for Al Qaeda’s violent resurgence there.